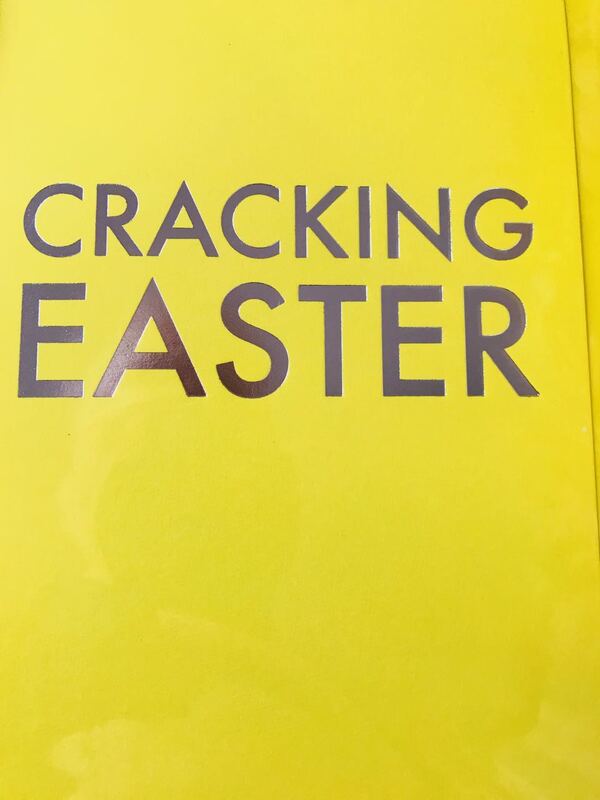 Easter break | A blog about smart POS software for independent small businesses. 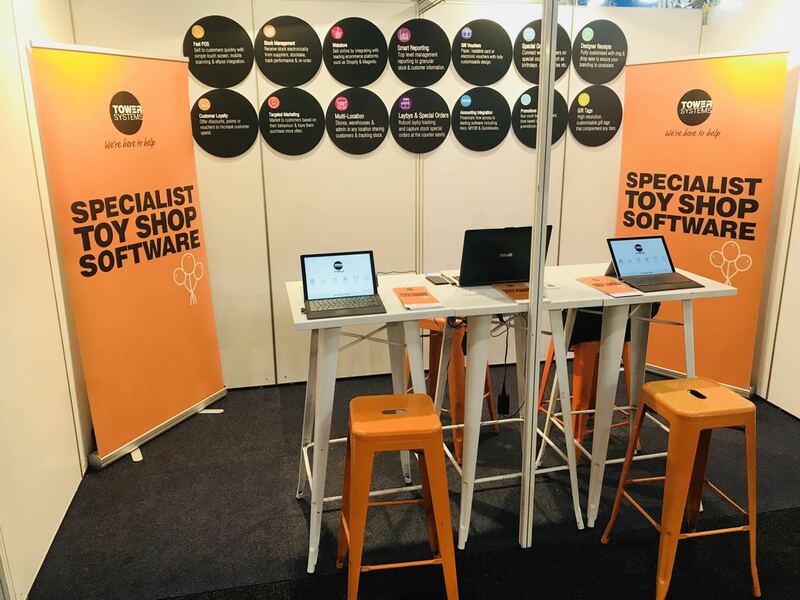 We are thrilled to have just passed acceptance testing for another major integration between our POS software and a very significant service provider in Australia. This is a new integration for us and them. We are in a small pool of first to market POS software companies. More will be announced after easter when their corporate marketing campaign kicks into gear. We are thrilled to be innovating for our small business retail customers in a part of their business that is ripe for enhancement. Owning and running a small or independent retail business can be lonely and challenging. Especially in this marketplace where big businesses have extraordinary tech tools they can deploy to make it look like their services are more human and personal than they really are. Here at Tower Systems we help small and independent retailers in a range of specialty retail niches compete thanks to services beyond our POS software. We help or customers better understand the direction of their businesses through data analysis. We provide free small business marketing resources. We provide free social media content they can use to restate the value of small business locally and economically. We listen, often on topics far removed from our software. We provide free training, long after the software is first installed. We reduce operational friction between suppliers and retailers through engagement with suppliers on behalf of our retail customers. We provide access to a wide range of shopper loyalty options. We provide access to a successful basket-building strategy for businesses that see shoppers once or infrequently. We provide business context for software actions. Too often software company people say do this or that without explaining the business context. We walk in small business retail shoes. We own and run independent small business shops to provide personal experience that we then leverage for the benefit of our customers. In these ways and plenty more we serve our customers in practical and valuable ways. We believe in small business for the economic benefit of any country. This is why we only sell to small business customers, to help them to more effectively and successfully compete against big businesses. Small business retail can compete through the engaged use of the smart tools in our POS software. This is where our deeper and more personal training and support plays a vital role in delivering to our customers not only knowledge but also vital encouragement and support to achieve this and plenty more. Check us out, see for yourselves. Visit www.towersystems.com.au and ask us how we can help your type of retail business. We’d love to show you the Tower advantage. Description: 10 different ways you can free up time and money in your business using retailer. Meeting Name: Understanding the End of Shift Reports. Description: Why is the End of Shift important? How do I check my settings are correct? What do the reports mean? And what parts of the report do I need to use for my accounting. Description: Let us show how to fix some common mistakes in Retailer quickly and easily. The last Wednesday in the month is Anzac day so have not scheduled a session. I’d love a dollar for every retailer who has told me how tough it is in the last few years. Heck, I’d retire with the money I’d have. The thing is, retail is tough, especially small business retail like a gift shop. It’s always been tough for the little guy. I know because I own small retail businesses myself. What are you doing to attract new shoppers? What are you doing to get your existing shoppers to spend more? What are you doing to drive down your costs? What are you doing to improve margin? These are the four most important things for a retailer to act on. They sit at the core of every retail business failure and success. Taking small steps in each of these areas can help you weather tough times. These same small steps can help you find success with less effort. Tower Systems is a software company for small business retailers like you. We’re retailers too. We combine retail experience with tech smarts and a passion for small business to help our colleagues to grow their businesses. We’d like to help you. Get your existing shoppers to spend more. Big claims yes … we have existing customers who will tell you that we do this. Our system can cost as little as a few dollars a day. Besides great software, hardware you can trust, friendly training and software support, you have access to our business skills, acumen and passion. We have your back, helping where we can with advice and ideas to help you grow your retail business. In business, through our own actions we make our own success. See the software live. 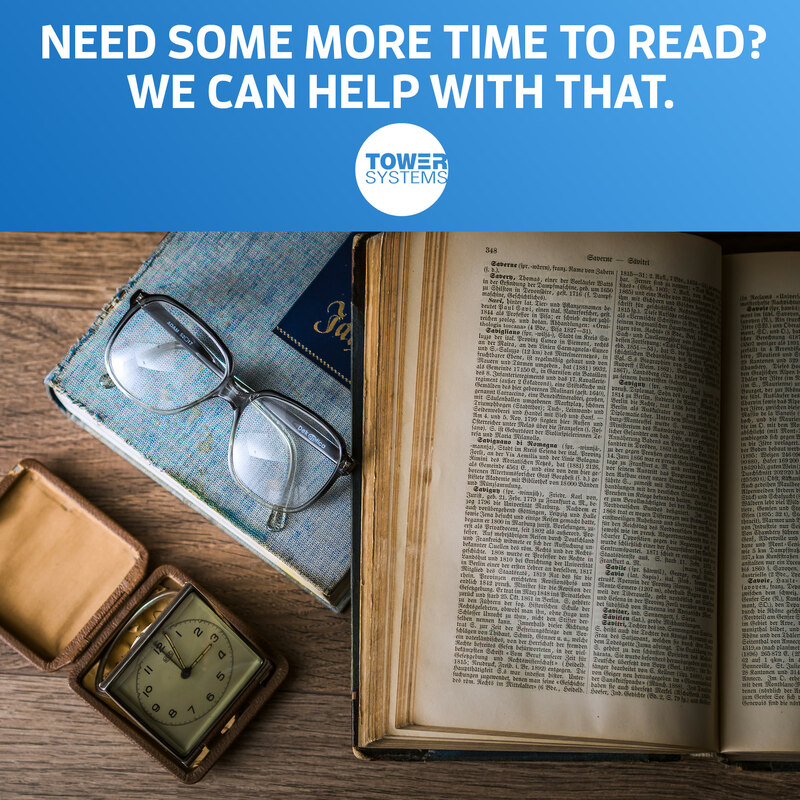 Contact us for an obligation free demonstration: Email: sales@towersystems.com.au. Call: toll free 1300 662 957. SA / WA / VIC: Tim Batt. 0401 833 917. QLD / NT: Justin Randall. 0434 365 789. NSW / ACT / TAS: Nathan Morrison. 0417 568 148. Check us out online: www.towersystems.com.au. My name is Mark Fletcher. I am the founder of this company: 0418 321 338. Our Aussie developed and supported POS software is not a destination. Rather, it is an evolving solution, being enhanced to serve evolving needs. For many years, we have resisted introducing support in the software for handling inventory items tracked and sold by colour, size and style. We resisted because this type of inventory was usually found in fashion retail, a retail segment outside the specialty retail channels in which we have been focussed. Retail has changed. The lines between retail channels have become blurred. There are businesses in our specialty retail channels today selling inventory items they wish to manage by colour, size and style. To serve this changing need, we have developed support for handling colour, size and style within our Retailer software. We refer to colour, size and style as variants as this is a better description for the facilities given that it can handle more than just colour, size and style. Like any new functionality, how we handle this will evolve over time and based on user feedback. Overview – This new function allows users to add Variants to new or existing stock items which identify variables of what are essentially the same stock item. For example – The product Sheridan Adkins 700TC Sheet Set comes in 5 different colours, with each of those colours coming in Queen, King & Super King sizes. All up, there is 15 variants of what is essentially the same item (15 barcodes, the main description, cost, sell, department and category etc are all the same, the only difference being the Colour and Size. This new feature will give users more flexibility and efficiency in areas such Arriving Stock, Creating Orders and checking Stock Levels. Using the new variants facilities in our software now, small business retailers can track items by multiple variants, like colour, size and style, at the point of sale, returns and reordering. You can report on inventory performance in a meaningful way to serve your business needs in this area. The goal of the variants enhancements is to provide each user business with data necessary to better manage the inventory in the business and the business itself overall. Tower Systems offers a direct to WooCommerce link that enables selling from the POS software and a Woo Commerce website all from the one inventory database. Making ecommerce easy for small business retailers. WooCommerce is an open source e-commerce plugin for WordPress. It is designed for small to large-sized online merchants using WordPress. WooCommerce is one of the most popular ecommerce platforms because it’s free and open source. This means that there are a lot free or inexpensive extensions available to customise your site. What Is The Retailer To WooCommerce Link? The Retailer to WooCommerce Link uses the Tower Advantage Link platform to allow Retailer to connect directly to your WooCommerce webstore. The Tower Advantage Link platform is a subscription-based service that acts as an intermediary between Retailer and the WooCommerce API. How Does The Link Work? The link works by using the TALink platform to connect to the WooCommerce API and synchronise your data. Retailer is your master stock database. You flag what stock items you want to appear on your WooCommerce store. Descriptions and extended descriptions are added as product names and descriptions in WooCommerce. Newly flagged products are automatically added and if you edit items in Retailer you have field level control over how these are handled in WooCommerce. Your Retailer Departments and Categories become categories and subcategories in WooCommerce. If you choose to synchronise departments and categories, your existing structure will be mirrored and managed in WooCommerce automatically. If, however, you decide not link your Department and Categories in WooCommerce, you can allocate categories manually to products once they are added. Retailer’s Classifications are treated as Attributes in WooCommerce. If you choose to link these in WooCommerce your existing Classifications will be mirrored and managed in WooCommerce automatically. If, however, you do not want this to occur you can manually manage your own WooCommerce Attributes. You have control over your webstore pricing from within the Retailer Stock Screen. Bulk updates of the webstore prices can be performed in Stock Manager. Once new prices are set, your webstore is updated automatically. Quantity on hand is also managed automatically, when your sell or arrive an item into stock these adjustments are sent directly to WooCommerce. If the quantity on hand of an item drops to 0, the item is marked as out of stock in WooCommerce. The images you set against stock items in Retailer are automatically uploaded to your website. If images change, the old one is removed and the new one is added. You can upload as many images as you like per stock item. Customers that purchase off your webstore are added as customers in your Retailer database, allowing you to track what they buy and market to them. Existing customers with an email address will also be added to your web store to facilitate easy sales if you choose. Sales are downloaded on a periodic basis and imported into Retailer. They are imported into our Customer Invoice Maintenance facility allowing you to place orders and print invoices if needed. Once sales are imported it reduces your quantity on hand so you maintain accurate stock control. Sales can be allocated to a specific location or merged to your main sales data, giving you excellent control over how you report on your webstore sales. Our Tower Systems POS software is not a destination. Rather, it is an evolving solution, being enhanced to serve evolving needs. Customer service is more vital than ever in retail. One way retailers can provide better service is through tracking customer related events. When we started to look at this, however, we found wide variation in what is tracked, how and when. In pet stores where pet details are recorded the needs are different to what we see in jewellery where more traditional anniversaries are tracked. These both different to what we see in produce where an event could relate to the timing requirement for crop support. We have developed a broad-based set of functions and support for what we call Events in our software. We have sought to cover the above needs and considerably more, to serve the needs we have seen across multiple retail channels. Our goal is to help high street retailers offer a deeper personal shopper experience, to support a stickiness between shopper and retailer as this stickiness helps encourage the shopper to return to the business over another one or over an online site. In our world, how we see it, events can be anything related to a customer. There can be any number of events too. Each event has a date or at least an anniversary related to it. This is key since we know that an event is something a retailer wants to track and respond to. This new function allows users to add Events to Identities that are connected to a Customer. The Events are based on either a specific date or the date a product or service was or was not purchased. Once this data is collated we can then easily report and market to these customers using methods such as email or SMS. Using the new events facilities in our software track many occasions and date based customer contacts and activities. You can do this as a customer service or as a return visit generating opportunity. Here at Tower Systems we often help small business retailers detect and stop employee theft. One piece of advice that we see as vital to this mission is for a business to have a THEFT POLICY. Here is a policy we share with our customers. Feel free to use it, modify it and share it. Theft, any theft, is a crime against this business, its owners, employees and others who rely on us for their income. If you discover any evidence or have any suspicion of theft, please report it to the business owner or most senior manager possible immediately. Doing so could save a considerable cost to the business. We have a zero tolerance policy on theft. All claims will be reported to law enforcement authorities for their investigation. From time to time we have the business under surveillance in an effort to reduce theft. This may mean that you are photographed or recorded in some other way. By working here you accept this as a condition of employment. New employees may be asked to provide permission for a police check prior to commencement of employment. Undertaking the police check will be at our discretion. Cash is never to be left unattended outside the cash drawer or a safe within the business. Credit and banking card payments are not to be accepted unless the physical card is presented and all required processes are followed for processing these. Employees caught stealing with irrefutable evidence face immediate dismissal to the extent permitted by local labour laws. Employees are not permitted to remove inventory, including unsold, topped, magazines, unsold cards or damaged stock from the store without permission. Employees are not permitted to provide a refund to a customer without appropriate management permission. Employees are not permitted to complete sales to themselves, family members or friends. Every dollar stolen from the business by customers and or employees can cost us up to four dollars to recover. This is why vigilance on theft is mission critical for our retail store. Yes, you can cut the cost of theft in any retail business. It starts with the right policies and processes. Australia POS software company Tower Systems is proud to offer POS software connected websites developed using Shopify, magento or Woo Commerce for specialty small business retailers in the retail channels in which we serve. We have developed plenty of websites for different types of businesses in different situations. we ovvero a one stop shop for POS software and web development. Not offshore. Our websites are 100% developed in Australia. This is important. There is no middle person. You deal with us before, during and after. The websites we develop are to your needs, covering the tech, aesthetic and other attributes that are important in your business. We sit with you to learn abut your needs, to ensure we get it right. We also promise honesty through the process – this is better than promising something that may not be able to be delivered. We welcome the opportunity to quote on stand-alone web development, where our sole service of your business is the development of a website. Our POS software integrated websites serve a single inventory database between physical store and online store. The Tower Systems web development team is skilled in WooCommerce, Magento and Shopify. The company has plenty of sites it can show in a live portfolio of successful e-commerce sites, serving shoppers in Australia and internationally. Small business retailers can benefit from the retail management experience at Tower Systems experience that helps deliver a more retail focussed solution. The Tower web team is also skilled at SEO and SEM services that help raise the website rankings in key search engines, ensuring the site is found ahead of others. 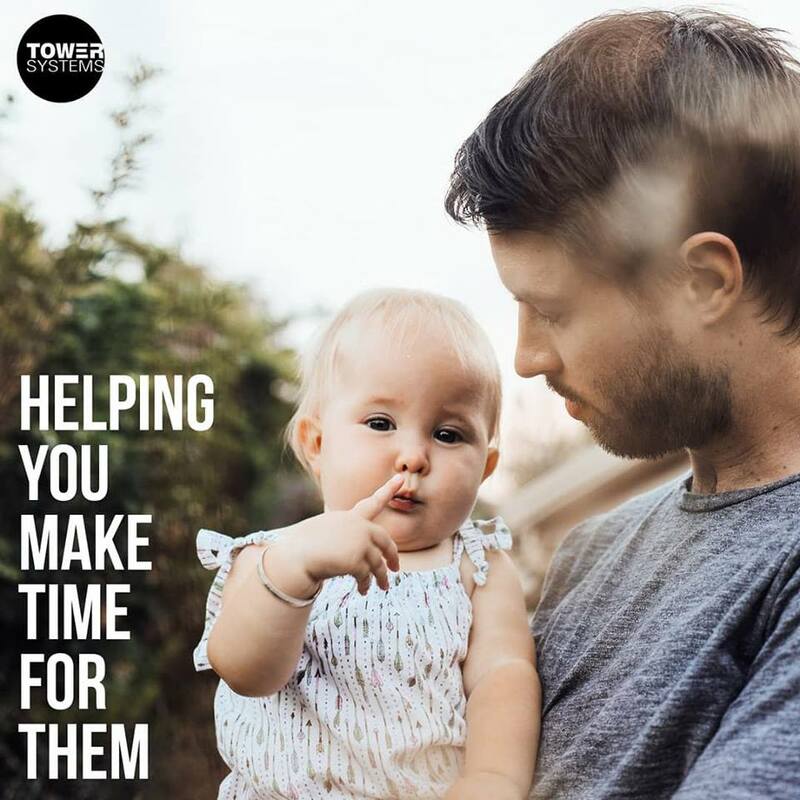 But best of all, Tower Systems provides professional advice and guidance to small business retailers keen to build their online presence. Our commitment is honest transparent advice on which any small business retailer can rely. The Tower Systems web development team is Australian based, working out of the company’s head office in Hawthorn. This is important as many web development businesses are overseas. While you might have a locally based contact person development too often is done overseas, leading to challenges with delivery and usefulness. 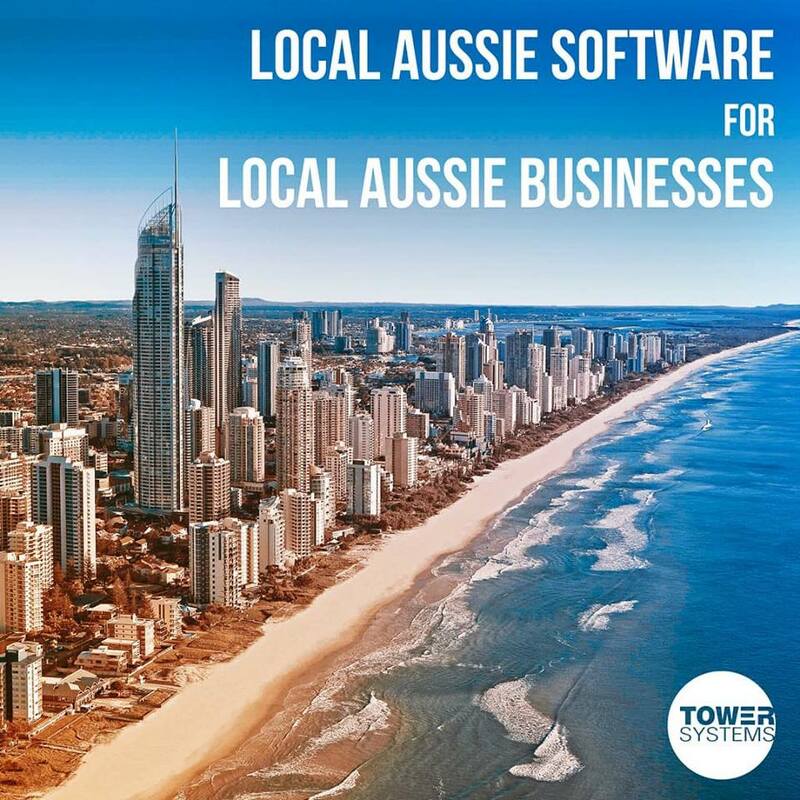 Tower Systems is committed to local development for local businesses. Our developers understand retail in Australia and New Zealand. We leverage that to deliver practical and valuable business outcomes. 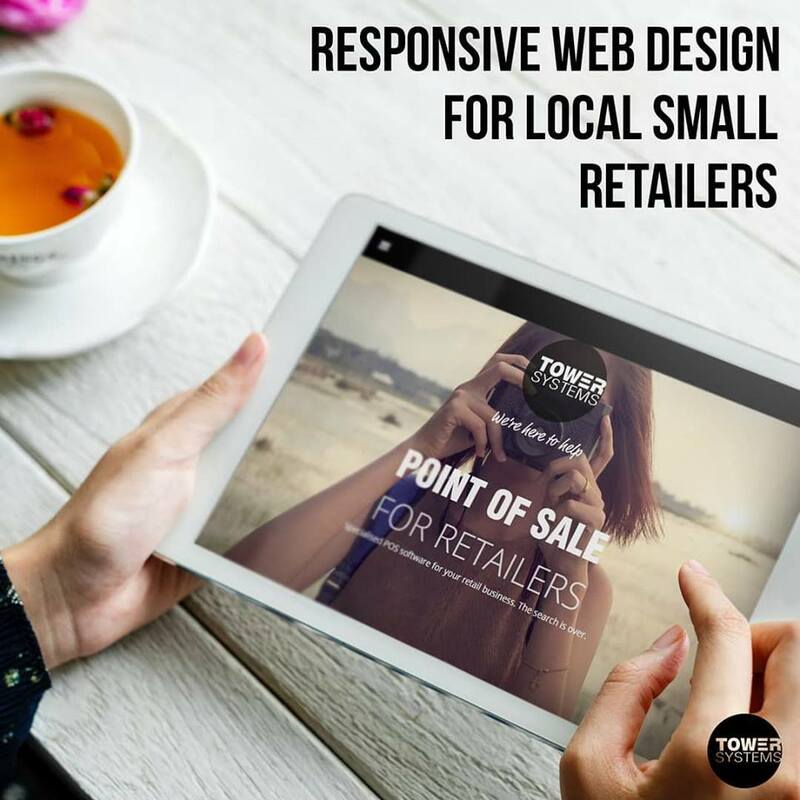 From simple websites to complex multi business solutions, the Tower Systems web development team for retailers is skilled and capable of delivering valuable solutions. To find our more about our web development services, speak with a local Tower Systems sales person. They can point you to successful sites from us that are live and transacting today. This is a selection of sites created by Tower Systems. Our web development skills are diverse. Our SEO and SEM skills are fine-tuned, to help you get the notice for your website. Switching POS software is easy. If it is not easy then the POS software company you are with is probably offering poor software or poor service – backed by a strategy that makes switching hard as a mechanism of protecting their business. If switching from your POS software is hard then you have even more reason to switch. Good POS software companies with good service and good software make it easy to switch, as part of their commitment to being the best at what they do. Here at Tower Systems we want you to stay with us because you like our software and enjoy the customer service experience. We do not want you to stay because we have a technical lock on you. That is false economy in your view. Customer service in small business matters, especially in business to business situations, such as we are in offering and supporting specialty retail POS software as we do here at Tower Systems. For us, the best pressure we can apply to ourselves to provide a good customer service experience is to make it easy for you to switch software. This puts you at the hear of what we do. It keeps us 100% customer focussed as we don’t want you to switch. This is why we continually improve our software and professionally manage the customer service resources – to provide you the best outcome possible, to deliver on the promises we make in ur sales process to you. We have seen POS software companies that lock people in, make it hard to extract data. The customers hate it and it costs them plenty. In the end it hurts the POS software company because small business retailers talk to each other about their experiences and how they feel blackmailed into sticking with software they do not like. Tower Systems is an Australian POS software company serving specialty retailers in a range of market channels. We only sell to independent retailers, delivering beautiful software backed by awesome customer service. We serve more than 3,500 small business retailers with software that is regularly and professionally updated. We are grateful to our user community for their support and guidance. When a small business retailer calls our POS software help desk the call is answered by a human in our Hawthorn Victoria help desk. What following is a conversation, an unscripted conversation, in plain English. We know people have computerised phone systems that want you to push this button or that button. It’s frustrating. We don’t like it and that is why we do not have it here. 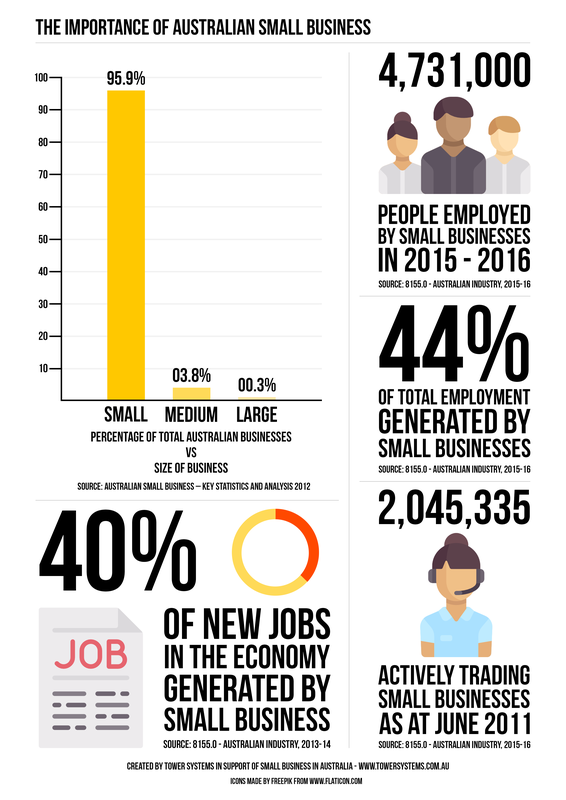 We know Aussie small business retailers don’t like calling a local business only to be pushed to an offshore call centre. We don’t like it. We prefer to hire locally for customer service. We know small business retailers can be frustrated when a help desk staffer pushes them through a script that is rigid – this is what happens when you call your ISP. 100% frustrating! We don’t like and that is why we do not do it here. Support calls start with a conversation. You get to describe your query in your own words. We work with you to understand the query and the provide an answer, explanation or resolution. Customer service matters. We try hard, every day. We loved showing off our toy shop software. This is a wonderful marketplace with optimistic small business retailers. As a side benefit for the work we have done for our software for fishing and outdoors shops is the learnings and insights gained that help us serve tackle specialists in Australia. Tackle businesses are a level of specialisation beyond fishing and outdoor. In these businesses our facilities that manage repairs and well as manufacturing are particularly useful. Using our repairs tools a business can track customer details, materials used, labour included and other factors. Customers are notified when items are ready for collection,. Using our manufactured goods tools, customers can track the items that are combined to make a new item, a manufactured good. This can be built-up or broken-down at will. These are just two of the areas of our specialist software that help tackle businesses to run more efficient and valuable businesses without getting too bogged down into the business side of the business. Being creative businesses at heart, business efficiency is a key factor. We get that and support the creative process as much as possible. Our focus on customer details and being able to market to customers based on a range of criteria helps specialty tackle businesses leverage their specialisation. Being able to connect the tackle business POS software to a website for 24/7 online sales is easy and certain, helping the business find new shoppers without doubling up the data work involved. The accounting software is a further time saving for the business and those who run the business. Each receipt produced by the software can include care instructions. 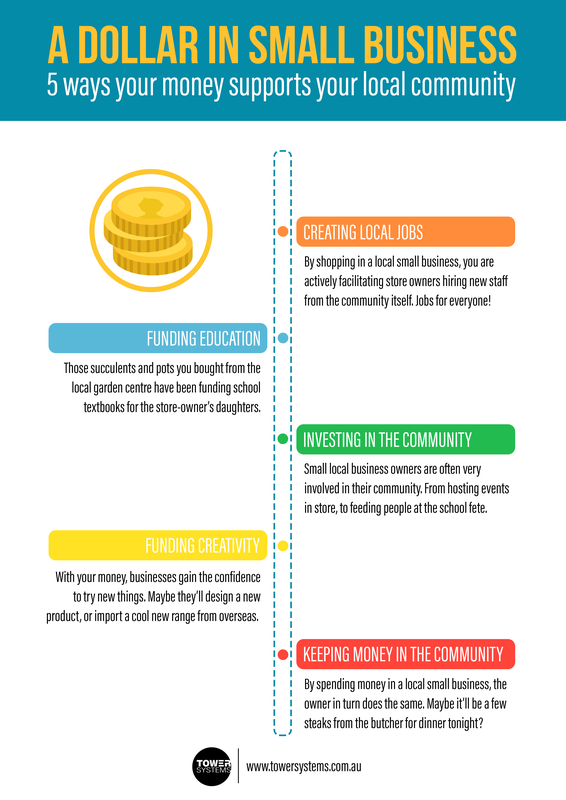 This is important for tackle businesses given the nature off what they make and sell. Since tackles are often purchased as gifts, the software can produce a gift receipt so the recipient does not know the price paid. This is a terrific benefit for online sales where someone in one location purchases online to have the tackle sent to someone in a completely different location. Call: toll free 1300 662 957. SA / WA / VIC. Tim Batt. 0401 833 917. QLD / NT. Justin Randall. 0434 365 789. NSW / ACT / TAS. Nathan Morrison. 0417 568 148. Attract more shoppers. easily transact online. Offer fast approval buy now pay later with immediate settlement. Guide existing shoppers to spend more. Ensure you do not over buy. Market based on specialty interest. 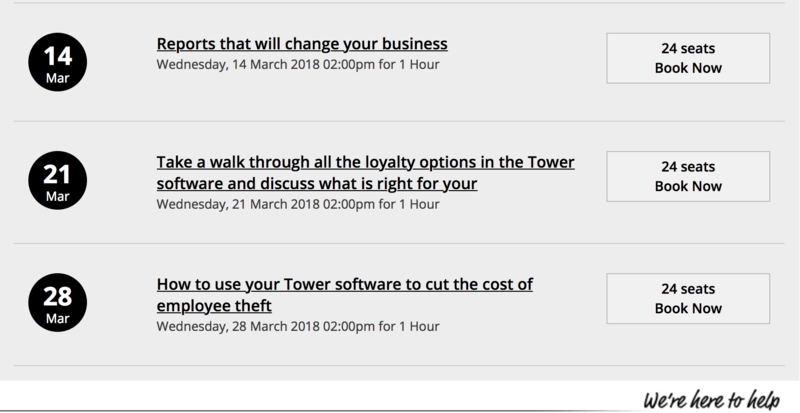 These are just some of the ways the specialty retail facilities in the Tower Systems software for bear shops is useful to a very niche and specialist business. The software does far more too, like integrate with accounting software and direct link to e-commerce platforms for easily managed online sales. We don’t develop software only for bear shops but we do develop software for jewellers, specialist gift shops and other businesses with needs similar to bear shops. Special orders, LayBys, gift cards, pre-orders – they are all easily handled in our software. Our software can send customers notification when their order arrives. You can also record the number of the bear sold for limited editions from Steiff, Charlie Bears and others. On the receipt you can include your personal care information that adds value to the sale, showing off why buying from you is important to collectors. We also have a unique loyalty facility bear collectors love and that can turn people into collectors. Right across the business, our retail management software can help you run a more successful and enjoyable bear shop. We’d love to show you how. Call us now and we can arrange a personal and obligation-free demonstration of our software to help you determine if our software is a good fit for your business. We would sincerely appreciate the opportunity to do this. This software is affordable. You can purchase it outright, lease it or rent it. Supported by humans, in Australia. Our help desk is in Hawthorn, Victoria. Training is personal. We come to your business and train you in the software.